After the success of the 12” Vinyl / Digital debut EP of Dub Unit featuring Speng Bond, now comes the first 7” Vinyl with this massive riddim from Subactive with the legendary Mikey Murka singing on top of “The Bad Man Riddim”. 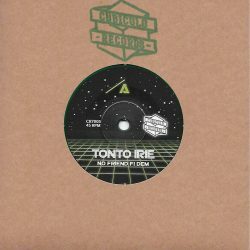 they produce modern-sounding riddims influenced by digital reggae of the 80s. The remix from Dreadsquad & Doubla J.on the Polish label “Superfly studio” is the first official release in 2012. In 2013, Subactive is signed on the famous music label Scotch Bonnet and releases its first EP (Frontline EP) in collaboration with singers El Fata & Ranking Levy. They are also the organisers of “DUB SOUNDZ” nights in Strasbourg where they play diferent styles from reggae to stepper making the crowds move using exclusives, dubplates and home-made productions. Subactive has invited many artists such as OBF, Stand High, Mungo’s Hifi, Kenny Knots, Vibronics, Disrupt, Riddim Tuffa, El Fata, Dawa Hifi, The Dub Machinist, Weeding Dub, Idren Reality, for the greatest enjoyment of a faithfully present and ever-increasing local audience. Mikey Murka first came to the attention of reggae fans worldwide way back in the the early 80′s. Having grown up in Jamaica, Mikey moved to London as a teenager & began singing on the legendary Unity Sound. In the height of Reggae’s ‘digital era’ in the 80′s Mikey worked the dancehalls with fellow Unity Sound artists such as Kenny Knotts, Errol Bellot, Selah Collins, Richie Davis, Peter Bouncer, Demon Rocker & Flinty Rankin (the Ragga Twins) performing regularly alongside the likes of Coxsone, Saxon & other top sounds of the day. On stage Mikey has supported artists including Sugar Minott, Mikey General, Tippa Irie, Daddy Freddy & many more. 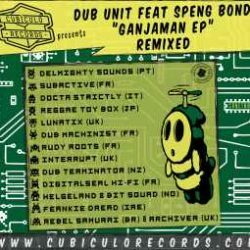 Following Unity Sound’s sucess in the soundsystem circuit, they began releasing records. With them Mikey recorded a series of hit tunes, including anthems such as ‘Control the Dancehall’, ‘We Try’ & perhaps the most well known ‘Ride Pon the Riddim’ which reached top 3 in the reggae charts, earning Mikey international recognition. Countless Mikey Murka tracks appeared on various compilation albums, the most famous of which include Unity Sound’s ‘Watch How The People Dancing’ LP & John Dread’s ‘Jamaica Affair’ Vol 3, where Mikey appears alongside Big Youth & King Kong. After a long break from the game, Mikey returned in 2002 hotter than ever, this time teaming up Kemist Kris of Reality Shock, who persuaded him to relaunch his singing career.